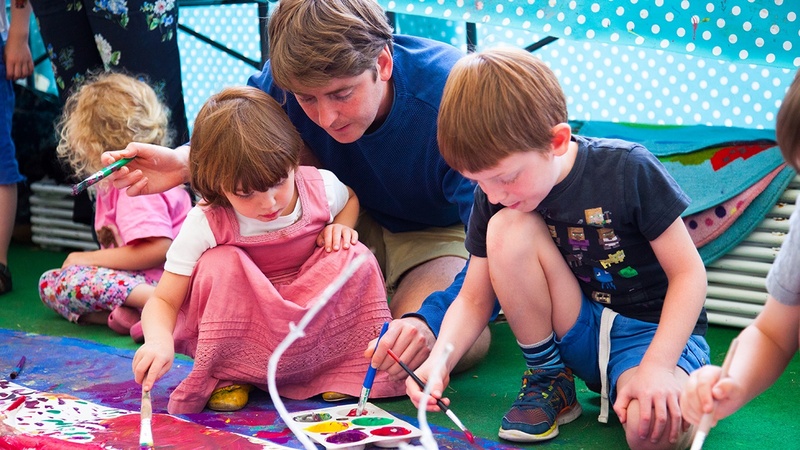 An opportunity to get crafting at Hay Festival. Get messy and creative: your imagination is the limit! 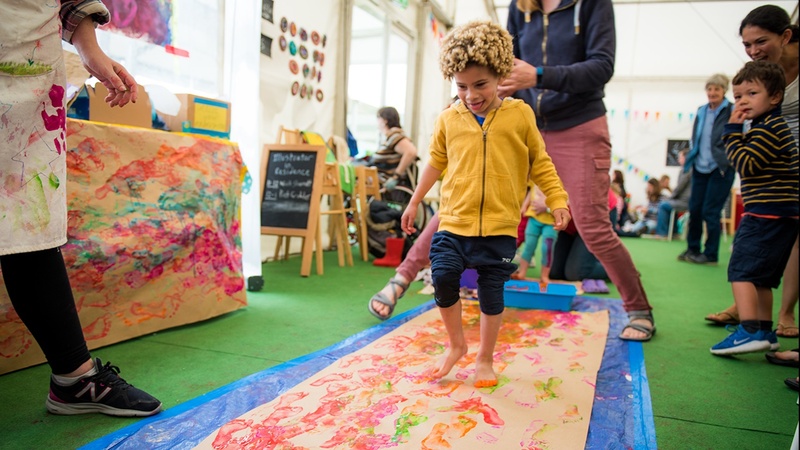 The Make & Take Tent is a free, drop in venue at Hay Festival where families and children can hang out and take part in crafting and other messy, creative activities throughout the festival. 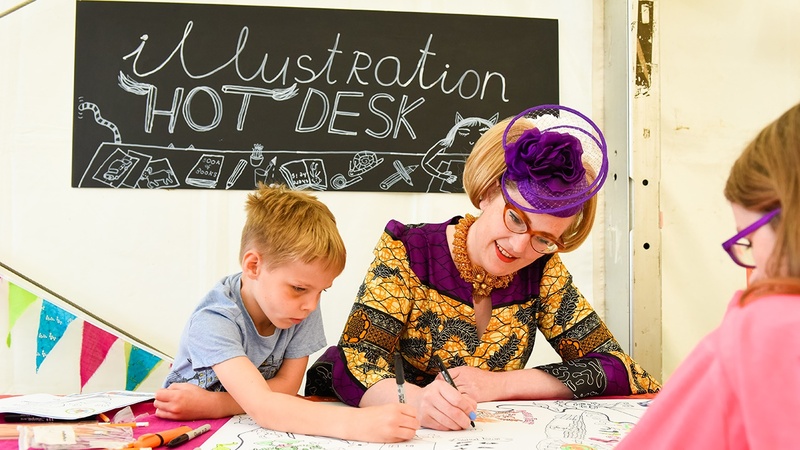 The Illustration Hot Desk, located in the Make & Take Tent, is a place where you can see wonderful illustrators at work and find out what it's like to be a working illustrator. You can see who's in residence each day on the chalkboard outside the Make & Take Tent, and check it out on Twitter @hayfestival #HAYDAYS.